I followed the plight of Michael LaCour, a University of California, Los Angeles, graduate student in the political science department, almost obsessively. I first heard of LaCour’s research on one of my favorite NPR programs, This American Life. The findings from the study he coauthored with Donald Green, a prominent political scientist at Columbia University, were astonishing. Published in the premier journal Science, the study found that interactions with a homosexual canvasser could change a person’s opinion on gay marriage, and that these effects were stable upon follow-up 1 year later. For anyone in research-oriented fields involving human subjects, these findings were impressive. It was shocking to me, then, to hear on a later installment of This American Life that the data used in LaCour’s research had been largely fabricated. A team of researchers discovered inconsistencies in the data when they attempted to replicate the study. Upon further investigation, it appeared that the raw data had been generated from a preexisting data set. The data used in LaCour’s study showed patterns that were atypical of studies involving survey response and included an almost perfect normal distribution of noise to simulate abnormalities in data that often occur when participants are revisited at a later time (Brockman, Kalla, & Aronow, 2015). What proceeded was a media frenzy of coverage, backpeddling by LaCour, and ultimately, a retraction of the article by Science editors. The revelations of LaCour’s scientific misconduct triggered personal reflection for me. While I have never faced scenarios involving the falsification of data, I thought about other situations in which I was required to carefully attend to ethical research principles (which, thankfully, have been mild). For example, I sometimes have the irrational fear that I have inadvertently plagiarized someone else’s writing — that a phrase or description that I believe I have written on my own is actually something I absorbed from another source. My friends in the field have expressed similar anxieties. While true scientific fraud such as that perpetrated by LaCour is rare, ethically ambiguous situations related to research, or questionable research practices (QRPs) that come up every so often, are perhaps more relevant. Excluding data after examining the impact of doing so on results. As graduate students, how many of these scenarios have you come across? Although this question has been examined in populations of academic psychological scientists, less attention has been given to quantifying the frequency of such events among graduate students. 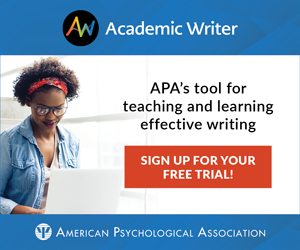 However, a survey of 243 training directors of APA-accredited clinical and counseling programs found that 15% of graduate students were involved in incidents involving plagiarism or data falsification and 8% of graduate students perpetrated acts that reflected a lack of integrity or dishonesty (e.g., lying to avoid punitive repercussions; Fly, van Bark, Weinman, Kitchener, & Lang, 1997). So what is the motivation for students to engage in ethical misconduct? Some blame the hypercompetitive world of academia, and there is no denying the limited number of academic jobs available to students following conferment of their doctoral degree. In a recent Nature news feature, a labor economist provided the following somewhat disheartening insight: Similar to actors and dancers seeking professional careers, there are a lot of graduate students but very few actually obtain academic positions (Gould, 2015). Some have argued that students feel the “publish or perish” pressures of academia early in their careers, which can trigger graduate-level ethical transgressions (Foster, 2015). One humanities professor has even proposed that journals reject manuscripts that are first-authored by graduate students; this could shift the focus of students’ scholarship to more long-term, deeply considered projects like dissertations rather than a race to produce an abundance of projects (Cassuto, 2014). While this proposition seems unlikely to be adopted, it raises an interesting point. We have seen many examples in the field where prestige and pressure for funding has been the explanation for falsification of data and misrepresentation of findings (the case of Eric Poehlman, a researcher who falsified data in grant submissions and published papers concerning obesity and other health-related fields, comes to mind). Would practices that slow the pace of competition help to alleviate the impulse to engage in scientific misconduct? The answer to this question remains unclear; however, students themselves can take a stand against such misconduct. Particularly, deepening one’s understanding of the professional consequences, as well as the potential endangerment of the populations we intend to help through research, may be useful (Borys & Pope, 1989). Although graduate students may themselves engage in QRPs, they also have reported witnessing faculty advisors or supervisors act unethically. Sandler and Russell (2005) set out to quantify incidents of controversy related to authorship in faculty–student collaborations. The authors noted that although students have reported perceiving that they have received inadequate credit for their work, they rarely file formal complaints. In fact, Sandler and Russell discovered that although a third of participants in their study reported involvement in a perceived negative incident related to authorship, only two cases were included in the APA’s Report of the Ethics Committee for that year. Relatedly, some findings have suggested that graduate students are unlikely to report unethical situations and anticipate negative, severe consequences if they do so (Rose and Fischer, 1998). Students also may feel disempowered to negotiate for authorship if they feel their professional relationship with a high-ranking faculty member or advisor may be put at risk. Borys, D. S., & Pope, K. S. (1989). Dual relationships between therapist and client: A national study of psychologists, psychiatrists, and social workers. Professional Psychology: Research and Practice, 20, 283–293. Fly, B. J., van Bark, W. P., Weinman, L., Kitchener, K. S., & Lang, P. R. (1997). Ethical transgression of psychology graduate students: Critical incidents with implications for training. Professional Psychology: Research and Practice, 28, 492–495. Gould, J. (2015). How to build a better PhD. Nature, 528, 22–25. John, L. K., Loewenstein, G., & Prelec, D. (2010). Measuring the prevalence of questionable research practices with incentives for truth telling. Psychological Science, 23, 524–532. Kitchener, K. S. (1986). Teaching applied ethics in counselor education: An integration of psychological processes and philosophical analysis. Journal of Counseling and Development, 64, 306–310. Rose, R. R., & Fischer, K. (1998). Do authorship policies impact students’ judgments of perceived wrongdoing? Ethics & Behavior, 8, 59–79. Sandler, J. C., & Russell, B. L. (2005). Faculty–student collaborations: Ethics and satisfaction in authorship credit. Ethics & Behavior, 15, 65–80. Simmons, J. P., Nelson, L. D., & Simonsohn, U. (2011). False-positive psychology: Undisclosed flexibility in data collection and analysis allows presenting anything as significant. Psychological Science, 22, 1359–1366.